For companies with several sites, reliable, fast data communication between the individual locations and access to central IT resources are particularly important. In the past, expensive, private point-to-point networks were usually set-up on an ATM or frame-relay basist. VPNs are a cost-efficient option for networking your sites which can be set up on different technical platforms. This can be established using simple IP SEC or secure MPLS protocols. For several years, Ethernet technology has been on the rise. Low-cost Ethernet routers allow for very cost-effective, high bandwidths while also offering the flexibility to increase bandwidths as needed.  Currently, many MPLS networks are being retrofitted to Ethernet-based networks, so-called EPNs (Ethernet Private Networks) or to LAN links-based, point-to-point networks. Depending on the customer requirements, there are a wide range of typologies and solutions available which, of course, can take the Quality of Service on the Ethernet network into account. Every company is different and that also applies to Network Services. We design and mediate neworks that are solely based on your needs. If there isn’t a suitable solution for this yet, we will build it. If the right availabilities don’t exist, we will create them. All of the major telecommunications providers work with Savecall. We have countless options, technologies and concepts and have already implemented thousands of lines worldwide. You can rely on Savecall implementing your network project, from the planning phase to monitoring the implementation, by the agreed upon deadline. Because your network is what matters to us. With Network Services based on virtual private networks (VPN), you do not directly connect your company sites and 1:1, but via the Internet or private backbone structure of a carrier. In comparison to dedicated permanent connections, broadband Internet connections are significantly less expensive. When transmitting data, your data has to be encrypted when sent via the Internet. The firewall and router on both sides are connected using a so-called tunnel (IPSec tunnel). Each information packet is usually encrypted using IPSec which ensures a simpler form of data security. The primary benefit of Network Services solutions via IPSec-encrypted VPNs is the low cost. However, as soon as higher demands are placed on network performance, stability and security, better solutions are required. For instance, Network Services based on Multi-Protocol Label Switching (MPLS). Only when using MPLS-VPNs are prioritizations, encryption, packet runtimes and the routes on which the data moves through the networks completely managed by the carrier (telephone company). The quality of services, ergo the prioritization of time-critical services within the network, which is absolutely necessary for many, in particular, time-critical applications such as VoIP (Voice over IP).  In the past, most high-performance VPNs were set up based on this MPLS technology. For several years, however, Ethernet technology has been on the rise, driven by the increased demand for higher bandwidths at lower costs. Low-cost Ethernet routers allow for cost-effective, high bandwidths while remaining flexible for bandwidth adjustments. Technologically speaking, you connect your local Ethernet LAN networks on an Ethernet basis and thus obtain a large Ethernet WAN. You can manage this yourself like your local LAN which could be a huge benefit for the IT department. Currently, there is a certain trend toward replacing MPLS networks with Ethernet-based networks, so-called EPNs (Ethernet Private Networks) or LAN links-based point-to-point networks. Depending on the customer requirements, there are a wide range of typologies and solutions that can also take Quality of Service (QoS) on the Ethernet network into account. Of course, when planning Network Services it should be taken into account from the onset that not every technology is available everywhere. This can mean that, solely due to availabilities, several options may not be possible from the onset. The behavior of the applications which are operated via the network, also has to be taken into account. What are the effects of round-trip times and jitter? Can the applications even be operated stably via the network? Do unexpected bandwidth effects arise? Many factors have to be taken into account and networking sites can quickly become a more complex task than originally assumed.